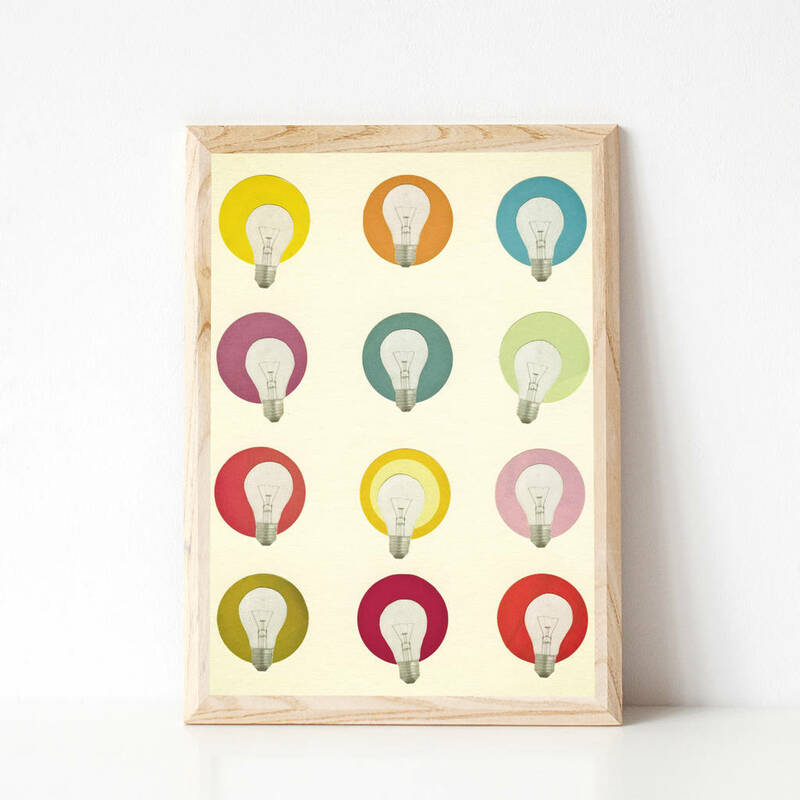 A modern geometric light bulb print, perfect for inspiring ideas. Made into a print from a hand cut paper collage. 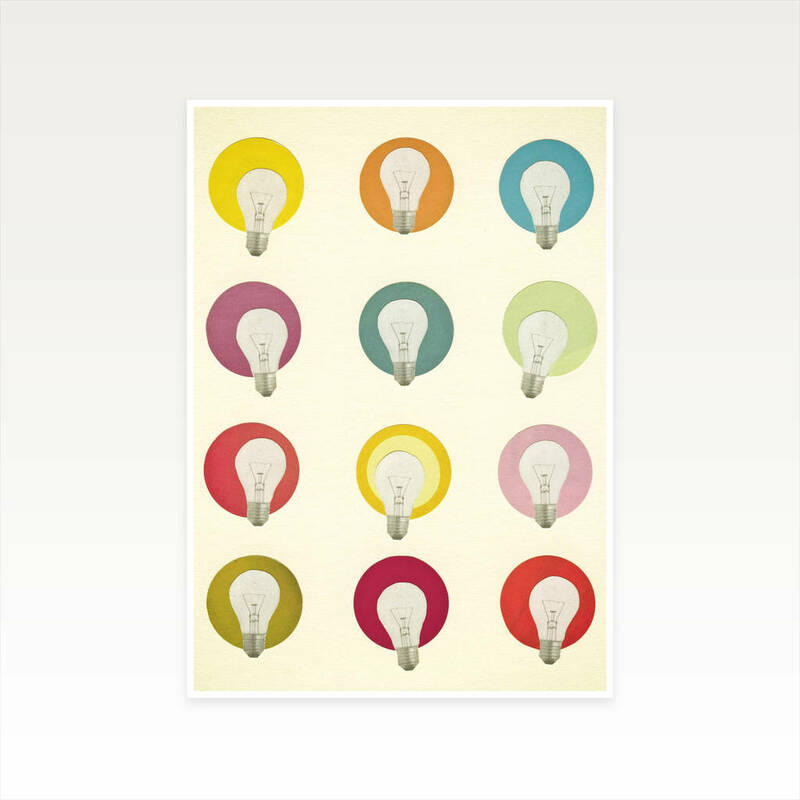 Make a colourful statement with this modern inspirational print, perfect for any room, particularly an office. Jazz up your hallway for immediate impact or brighten up your kitchen, lounge or bedroom. This print appeals to most people and is one of my best sellers with it's bold shapes and mix of soft colours. This geometric art would also suit a child's bedroom for a clean modern look.